Muskegon, MI, January 12, 2018: Geerpres® has a history of providing innovative cleaning products and supplies for healthcare, cleanroom, building service contractors, and EVS teams. 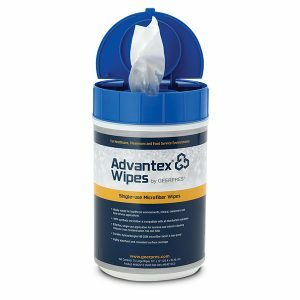 New to the lineup is the Geerpres® Advantex® Product Line featuring single-use mops, wipes, sponges and supporting cleaning systems. Multiple studies have shown that hospital floors harbor HAI (Hospital Acquired Infections) pathogen organisms. Geerpres® sponsored a microfiber mop case study to compare several brands on disinfectant neutralization, absorbency, coverage and wasted chemical solutions. Pathogens and contamination are not being eliminated by traditional laundered mops, and inadequately laundered mops are being reintroduced to hospitals with remnant pathogens. To reduce HAIs and cross-contamination risks, hospitals should convert to single-use microfiber mops. The complete, full-length case study and lab results are available here for download. Research and testing conducted in 2017 by David Harry and Jack McGurk MPA. Newly laundered microfiber mops from 11 hospitals, 27.3% contained microbial contamination, including HAI pathogens. Microfiber mops have reduced efficacy as reuse and laundering takes place. Pathogens are introduced to the floor by shoes, transport equipment, beds, treatment carts and patient socks for example. In five Cleveland hospitals, 44% of rooms found pathogens (C. diff) after patient discharge. 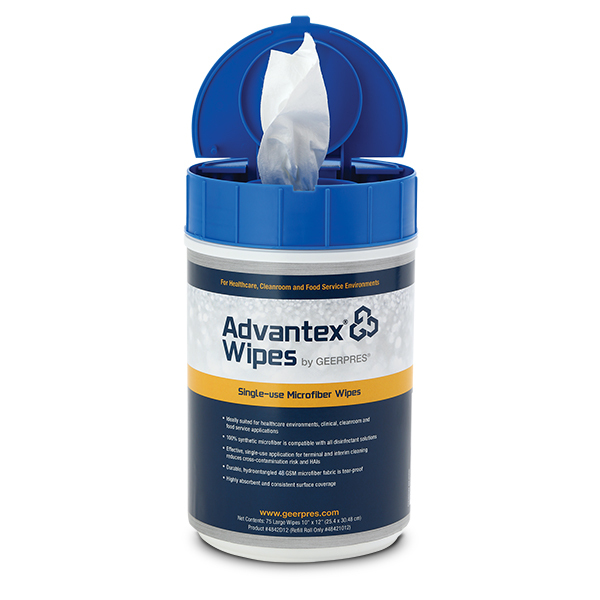 Advantex® Single-use Mops showed better results for Quaternary and Chlorine compatibility compared to three other brands and laundered mops. 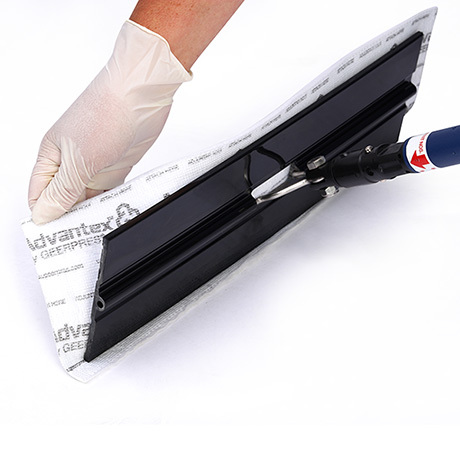 Laundered mops have the highest percentage of solution waste (62% compared to Advantex® at 4%). Total HAI cost of $40.3 billion in 2009, represents 11% of total hospital spend.